Beautiful and well maintained gardens can create a great look for your home or property, not only increasing street appeal but the overall value of your property. 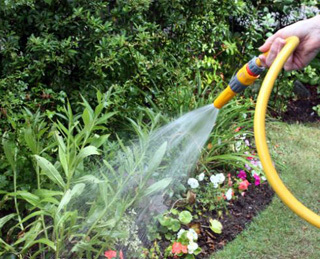 Graham’s Garden Care Gardeners provide expert garden maintenance services, including planting, trimming, hedging and mulching to help you create an impressive outdoor space. We also offer garden cleanups and makeovers if you need a little more help to bring your garden to life. We pride ourselves on professional and affordable services that will keep your garden looking its best. No garden is too big or small for our expert gardeners to be involved in. Our professional lawn and garden specialists are experts in garden care, garden maintenance, lawn mowing, drought tolerance and mitigation, as well as general garden tidy ups, including rubbish and green waste removal. We can advise on water saving ideas for the harsh summer months, help with plant and tree selection and best of all, we can do all the hard work in getting it ready for you to water and look after (ok, we can do that too!). Graham’s Garden Care have Franchisee Gardeners all over Brisbane, Gold Coast, Ipswich, Logan, as well as the Sunshine Coasts. Graham’s can provide regular garden maintenance or help a one-off garden project. Whatever the job, our focus is to ensure that we offer each of our clients a high level of service and support across a wide range of garden maintenance services. Did you know our Gardeners offer a FREE QUOTE & CONSULTATION SERVICE? Invite us to quote on your gardening needs today – you may be pleasantly surprised at how cost effective our work is! Call Graham’s Garden Care on 1300 134 035 for a no-obligation FREE QUOTE or complete our online FREE QUOTE form to the right, and we will get back to you as soon as possible.